It’s a Bible teacher’s dream--students who not only dig deeply into the Bible, but who also connect with Jesus in countless ways. 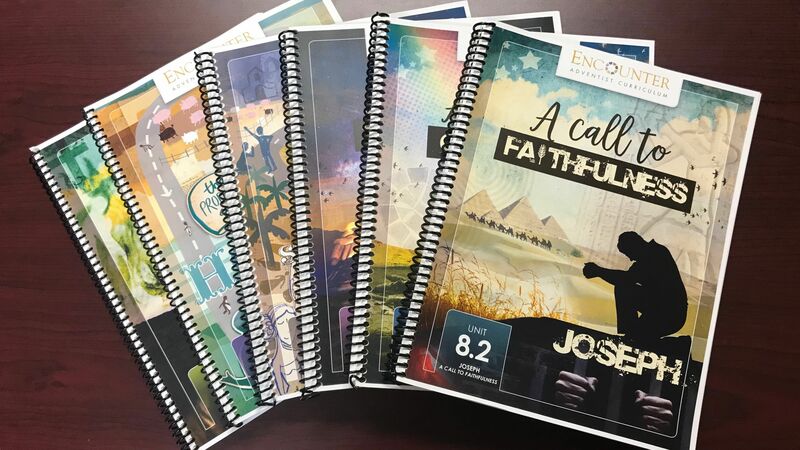 The new Adventist Encounter Curriculum is created for both elementary and secondary students to give them a solid, deep, and personal knowledge of the truths of the Bible, to respond to Christ’s invitation to live a lifelong, vibrant relationship with Him and to be passionate about the salvation of others. “Before, we had a textbook and a workbook with good information but some of it was written in 2001,” explained Michelle Velbis, principal/teacher at the Pueblo School, adding, “and it didn't apply or connect to the student's lives of today. “The new Encounter Bible curriculum,” Velbis continued, “was written to specifically use orientation, exploration, reflection, and celebration to engage and envelop students with a clearer picture of God's love for them. Using this new curriculum, students use the Bible as their textbook and are given countless opportunities to connect with Jesus. It is a seamless curriculum for Grade 1 – 12 that is intentional about exploring the Bible with the goal of making a difference for eternity. Even when students come from different faith backgrounds, they can discover truths straight from the Word. Initially developed by Australian and New Zealand Adventist Education departments, the Adventist Encounter Curriculum has been taught in Australia and New Zealand for the past several years with much success. It was updated and contextualized before releasing it throughout the North American Division, who developed Grades 11 and 12 independently. Because other textbooks date fairly quickly, the only textbook for this new curriculum is the Bible. The Encounter units provide a list of activities, resources, and a very comprehensive teaching plan. The units can be updated regularly as new resources arise and as needs change. A Resource Kit is provided for each Encounter unit, which may include posters, DVDs, books, and other unique materials as well as a Resource flash drive. Ongoing checks for learning are available for use as students progress through each unit, and summary assessment options are also included. To challenge and stretch each student, multiple intelligences are used, giving them opportunities to grapple with topics and apply, analyze and create personal and practical applications from their learning.